The force P of magnitude 50 kN is acting at 215° from the x-axis. Find the components of P in u 157° from x, and v negative 69° from x. 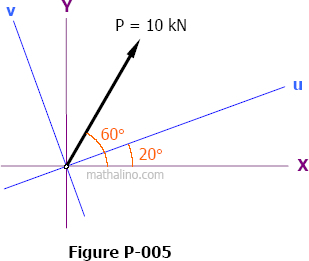 Find the components in the x, y, u and v directions of the force P = 10 kN shown in Fig. P-005.